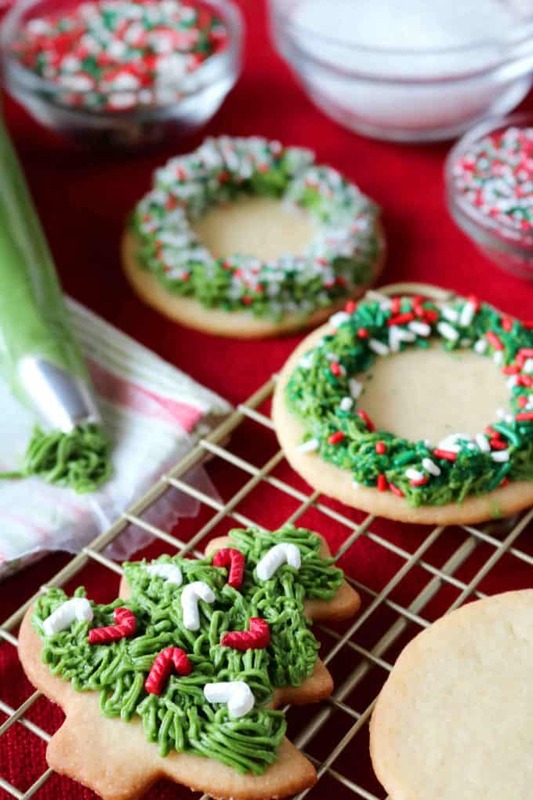 7 Fabulous Festive Christmas Cookie Recipes – I love Christmas and I love cookies, so this round up of Christmas Cookie Recipes could not be more perfect for me. 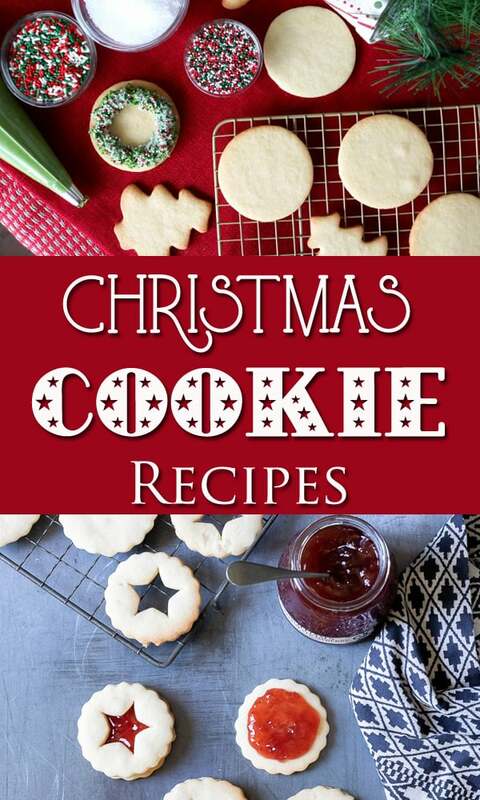 Have a look at these great Christmas cookie recipes taken from some fantastic food bloggers. 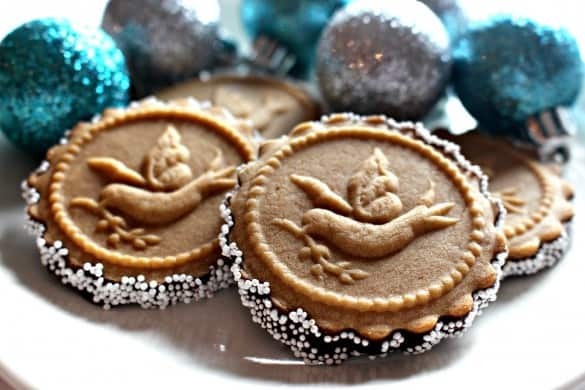 Now just how pretty do these buttercream sugar cookies from The Anthony Kitchen look? The only thing would be that I wouldn’t want anyone to eat them! 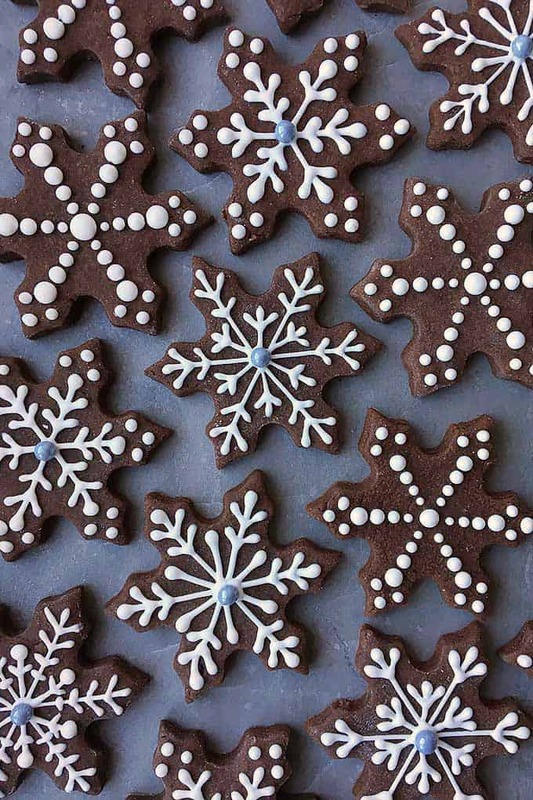 I think these chocolate snowflake cookies from Foodal are so beautiful! I think this would be a perfect decorating project for the kids too. 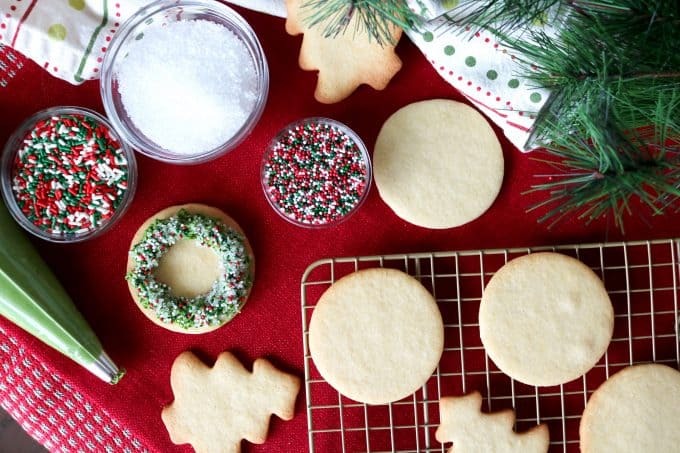 According to ‘Recipes from a Pantry’, these cookies smell like Christmas when they are cooking, and bake in just 8 minutes. I love the way she has tied them with butchers string, it just really gives them a festive touch. They’d be great given as presents this way! 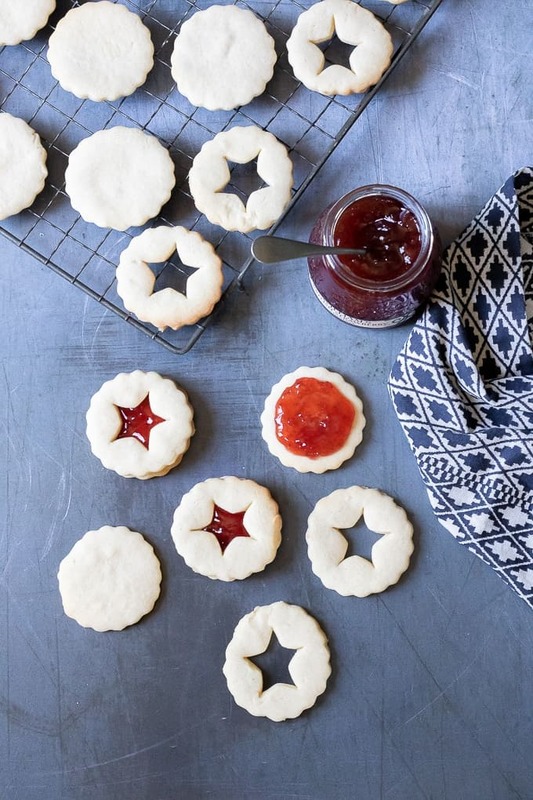 How about these cute jammie dodgers from ‘Veggie Desserts’? I think the stars in them are so pretty, and you can choose what jam to put in them. 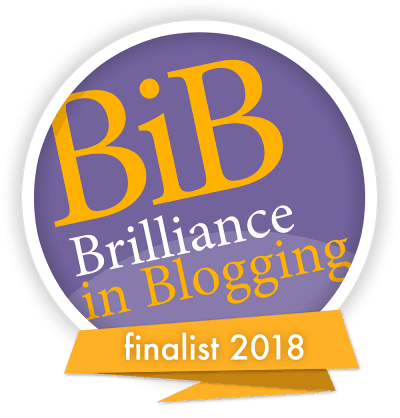 I think they would be great with apricot jam or lemon curd too! A nice mix would be good for the mix of different colours. 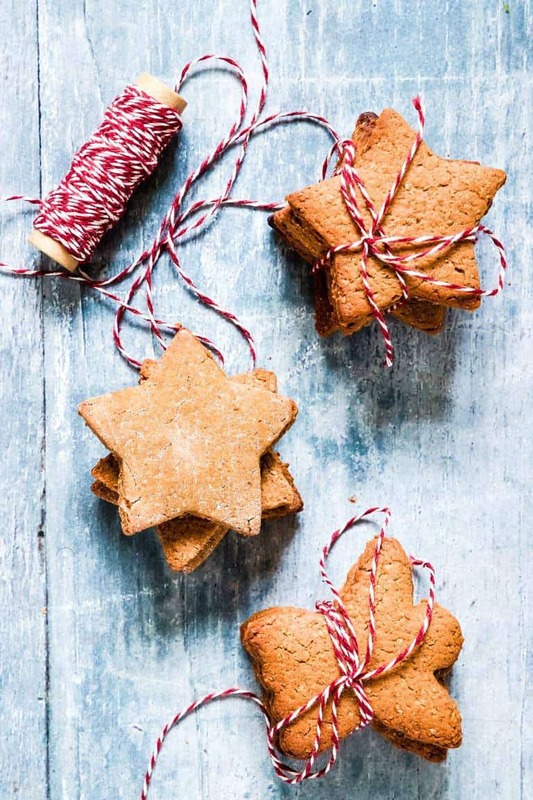 It’s always a good thing to have a few gluten free recipes up your sleeve, and these white chocolate gingerbread cookies from ‘My Gluten Free Kitchen’ look amazing! 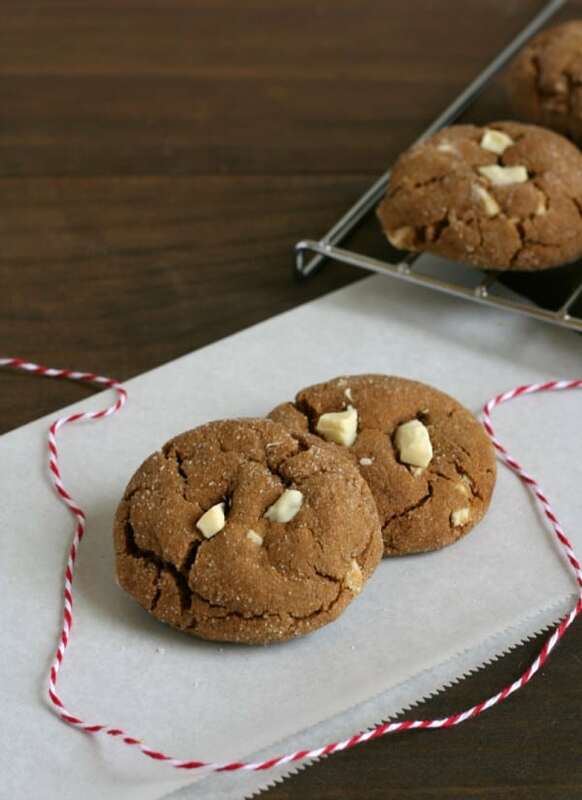 I love the look of these Honey Gingerbread Cookies from ‘The Monday Box’ – chewy cookies with lots of honey flavor warmed with cinnamon and ginger. 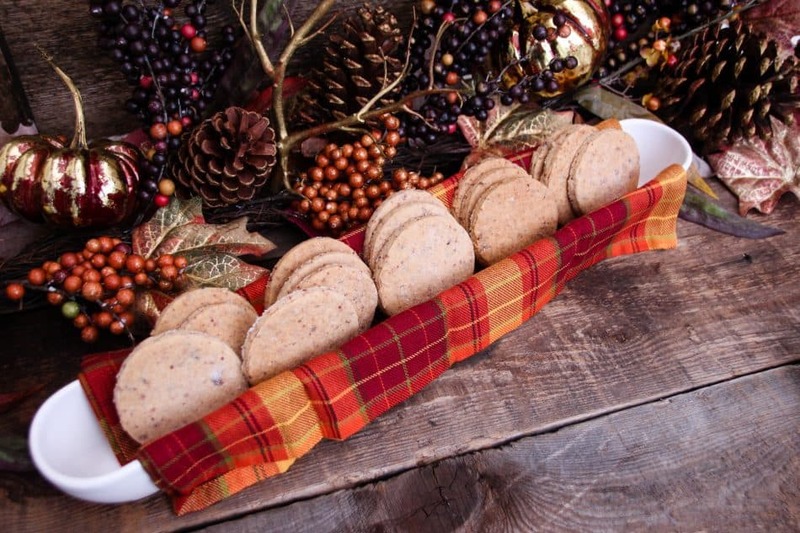 This is a really new recipe on me and one I am planning to try – Salted Shortbread Cranberry Cookies from ‘Powered by Mom’. I love the styling of this photo too – so Autumnal! 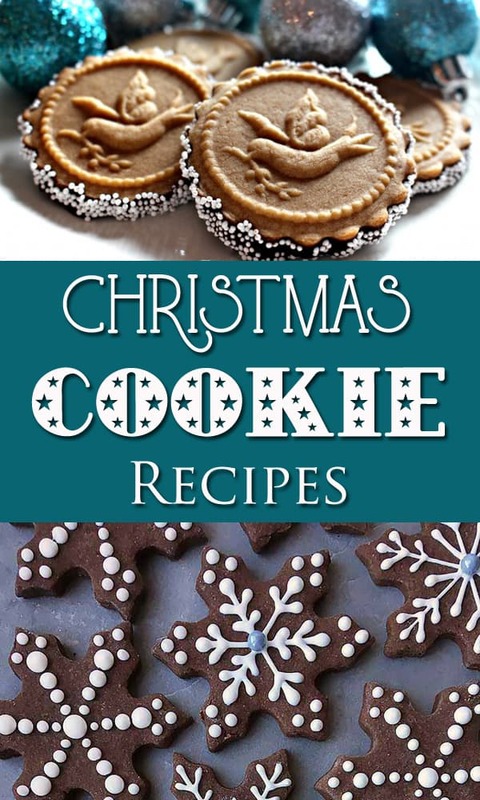 If you like these Christmas cookie recipes, also have a look at my Christmas Pudding Fudge recipe.